Viridian operate in the travel and utility MLM niches. The company is based out of Connecticut in the US and was founded by Michael Fallquist. Fallquist is the former COO of Commerce Energy and founded Viridian in 2009. Today Fallquist is CEO of Crius Energy, cited as a “strategic partner” of Viridian. Viridian itself is headed up by CEO Paul Booth (right). over 30 years of network marketing experience as both a successful distributor and key executive in multiple network marketing startups. In addition to his Viridian position, Booth is also founder and CEO of Data Paradigm Inc.
(DPI is) a nationally renowned network marketing advisor and compensation plan designer. DPI’s systems currently support multiple companies with hundreds of thousands of distributors and gross sales well over $1 billion annually. Amid some positive experiences from DPI staff, I noted some GlassDoor reviews of DPI explicitly suggested problems with Booth’s style of management. In 2015 Connecticut’s Public Utilities Regulatory authority announced it was reviewing Viridian’s contracts, contract renewal, customer notification and enrollment procedures. Also in Maryland, a class-action lawsuit was filed against Viridian and it’s parent company, Crius Energy. The suit claims Viridian uses a “fraudulent and deceptive bait-and-switch sales model” and that Viridian associates “form a retail pyramid” that yielded the company a 30 percent profit margin in 2014, to the tune of $33.7 million. As of December 2017, that lawsuit is ongoing. A Status Conference report filed October 18th, 2017, reveals settlement negotiations between the parties are ongoing. deceptively advertis(ing) low initial rates for energy followed by variable rate plans that are tied to the market rate when, according to plaintiffs, customers end up paying four, five, or six times more for their energy. This is a combination of three separate class-action lawsuits, which were combined into the Maryland class-action referenced above. Read on for a full review of the Viridian MLM opportunity. Viridian offer residential and business utility services (electricity, natural gas and solar), as well as access to a travel-booking engine. Details on utilities are based on where a potential customer resides, with pricing not provided unless a customer signs up and provides Viridian with personal information. Access to Viridian’s Travel Light booking engine costs $99 and then $39.99 a month. TravelLight can be used to book “hotels, cars, cruises, activities & more”. The Viridian website does mention a “Travel Light 4 Free” option but fails to go into further detail. The Viridian compensation plan combines direct commissions with residuals paid out via a binary team. A generation based matching bonus is also available, as well as additional performance-based bonuses. There are fifteen affiliate ranks within the Viridian compensation plan. 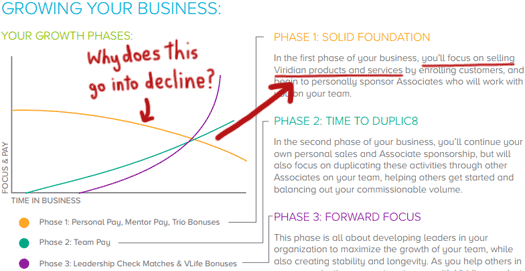 To qualify for MLM commissions a Viridian affiliate must be “active”. Active qualification requires a Viridian affiliate to generate 15 PV a month. Viridian appear to bundle retail and recruited affiliate direct service commissions. That is to say the same commission is paid out on a service subscription regardless of whether the subscriber is a retail customer or recruited affiliate. Commercial solar installations pay a one-time commission based on 75% of $50 per kw of the final installation system. Note that upline commissions require MLM commission qualification. If a new Viridian affiliate qualifies for MLM commissions within their first 28 days and recruits two affiliates who do the same, they are paid a $100 “Trio Bonus”. A $50 commission is paid to the first MLM commission qualified upline affiliate. Viridian pay residual commissions based on generated sales volume. Viridian pay residual commissions via a binary compensation structure. Residual commissions are based on generated binary team sales volume. At the end of each week Viridian tally up sales volume on both sides of the binary. Leftover volume on the stronger binary side is carried over the following week. Viridian pay a Check Match Bonus on residual commissions paid to downline affiliates. Senior Associate and higher ranked affiliates receive a 10% match on residual commissions paid to personally recruited affiliates. Consultant and higher ranked affiliates earn a residual Check Match Bonus. Viridian pay the residual Check Match Bonus out via a unilevel compensation structure. The residual Check Match Bonus is paid out based on generations. Viridian define a generation in a unilevel leg based on the amount of Consultant or higher ranked affiliates in it. 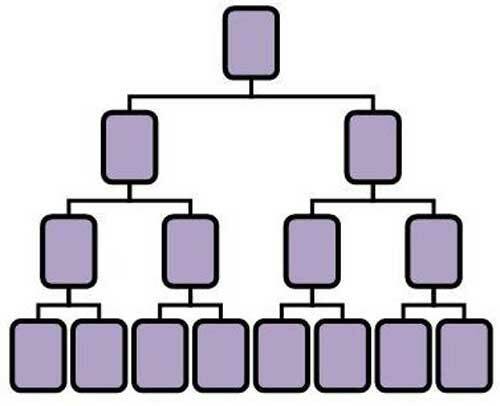 When a Consultant or higher ranked affiliate is found in a unilevel leg, they cap off the first generation for that leg. The second generation begins immediately after them, and is capped off when another Consultant or higher ranked affiliate is found in the leg. If no such affiliate exists, the second generation extends down the full depth of the leg. Note that generations in a unilevel leg are defined independently of the rest of the unilevel team legs. The Director Bonus is paid at $250 over two months. Senior Director and higher affiliates are paid 10% of the corresponding Rank Achievement Bonus each month for ten months (rank must be maintained). From industry leading global mission trips, to fun and relaxing incentive trips, to short-term cash promos, to recognition contests, Viridian offers you many ways to increase your earnings, expand your opportunity and experience the joys of owning your own business—all while seeing the world, and changing the world. A Viridian trip is truly a life-changing experience. You’ll find yourself rolling up your sleeves and helping a community on a high-impact service project, experiencing a rush of adrenaline on an exhilarating adventure, or just enjoying a life of luxury and relaxation at a world-renowned resort. Often, you’ll do all of these things on the very same trip! Captioned photos in the Viridian compensation plan suggest the Promotional Pay is an annual event differs from year to year. Viridian affiliate membership is $299. An affiliate can also opt to sign up with Travel Light membership for $249, which MLM commission qualifies an affiliate (as long as they continue to pay $39.99 a month for Travel Light membership). The Viridian website claims the $249 membership is a “limited time offer”. How long Viridian have offered the $249 membership however is unclear. Additionally, Viridian affiliates are able to purchase up to three compensation plan positions (binary team). Every newly enrolling Viridian Associate will have an opportunity during their initial enrollment to create their Associate account with 1 business unit or 3 business units. This presumably adds to the initial cost of Viridian affiliate membership, however no pricing is provided. Note that the Viridian compensation plan also mentions a Personal Website Subscription. This appears to be an ongoing cost tied to certain commissions. Despite searching I was unable to ascertain how much Viridian charge for a Personal Website Subscription. Viridian marketing material suggests the website fee is essentially mandatory, as it includes a replicated Viridian, Travel Light, and solar power marketing website. Easily share tools, training, videos, social media shareables and more with prospects and customers directly from your phone. Send a custom link in seconds that connects back to your marketing page. Utilities based MLM companies typically have extremely complex compensation plans due to the varying providers and rates tied to the locale of subscribed services. Viridian avoids this pitfall with a pretty straight-forward compensation offering. A good deal of volume generated is non-specific based on utility usage, but percentages of used volume are universal (often percentages differ based on provider and this can get confusing fast). As to the utilities themselves, it’s hard to ignore three class-action lawsuits and regulatory action pertaining to Viridian’s pricing. That the class-action lawsuits appear to have been filed by affiliates suggests there might be an issue with the retail viability of Viridian’s utilities offering. More on that in a bit. With respect to the Travel Light booking engine, I didn’t see anything out of the ordinary here. This appears to be a regular travel MLM offering. At $99 and then $39.99 a month you’re looking at having to recover just shy of $540 in the first year and $479 every year thereafter. The trap here is travel might be booked just to recover the ongoing membership spend, leading to sunk cost fallacy versus actual savings. Travel Light also appears to be Viridian’s defacto monthly autoship option. Although entirely optional, it’s probably not a coincidence that 15 PV is both the minimum for MLM commission qualification and how much an affiliate’s Travel Light monthly fee generates. While you are not required to be a Viridian customer, we strongly recommend you begin using the products yourself and create your own testimonials! The Trio Bonus puts a deadline on generating 15 PV a month and recruiting two others who do the same, and I believe this will be the reason most, if not all Viridian affiliates will have Travel Light membership. That in itself isn’t a problem, but there might be an issue if there’s a distinct lack of retail Travel Light memberships being sold and maintained. Unless you sell thousands of Travel Light memberships though, the big money is in Viridian’s utilities offering – in particular commercial accounts. Realistically companies with energy accounts large enough to matter likely already have a relationship with their provider, so this definitely going to be a tough market to break into. Energy is already competitive, commercial energy even more so (as evidenced by the difference Viridian pays between residual and commercial energy accounts). While initially a Viridian affiliate might be able to solely self-qualify for MLM commissions, PV doesn’t let up as they increase in rank. With relatively low PV values generated per individual spend, the idea is obviously that sales beyond an affiliate’s own purchases are required. It’s just a shame this isn’t instilled from the beginning, so as to guarantee new Viridian affiliates are retail customer focused from the get go. Two points I particularly took issue with in Viridian’s compensation plan were the Personal Website Subscription fee and ability to purchase additional business centers. The Personal Website Subscription fee appears to be a monthly affiliate fee packaged as some sort of exclusive web service. An MLM company should be providing basic marketing tools to affiliates as part of their membership. If Viridian wish to charge for than fine, but don’t pretend not having basic business tools is a choice for anyone serious about building an MLM business. Call it what it is, a monthly affiliate fee, and be done with it. The ability for a Viridian affiliate to purchase additional business centers is perhaps the biggest compensatory red-flag. To recap, a new Viridian affiliate is able to purchase up to two additional business centers when they sign up. This option is only available upon initially signing up, requiring a new affiliate to pay more to earn more without potentially understanding what they are paying for. The sole qualifying factor here is money paid by the affiliate, which as far as regulation goes is an unmistakable example of “pay to play”. I’m not a fan of additional compensatory positions but I understand why they exist. If a top affiliate has maxed out the compensation plan, rather than continue to increase the ceiling of the plan, additional business centers can keep leaders working on directly building their business. The key word there is “top leader”, as I believe these are the only affiliates who require additional centers. Certainly additional centers should not be pitched to new affiliates as a means of increasing income potential, for doing nothing more than paying more money. I get the feeling Viridian are hedging their bets here, knowing full well that most affiliates aren’t going to be taking advantage of the additional centers. According to Viridian’s latest Earnings Disclosure Statement (May 2016 – April 2017), 88% of affiliates were making $124 or less a month. Interestingly of the total Viridian affiliate-base, 61% don’t qualify for MLM commissions at all. I’m not too sure what the story is there, considering 15 PV is all that’s required to be a “Qualified Associate”. As a prospective Viridian affiliate, I’d be wanting to ascertain whether my potential upline actually has retail customers (preferably utilities customers, as commissions are more stable with a regular monthly bill). The first thing you can ask is if the affiliate qualified for the Trio Bonus. And if they did, was it through their own Travel Light membership purchase and the same of those they recruited, or did they actually sell utilities? Beyond that you can ask them what rank they are, match that with the corresponding PV and ask how they’re generating that each month. If it’s downline affiliate volume and their on service subscriptions, that’s an indication that Viridian’s offering might not be competitive enough in a retail environment. This is important because without significant retail sales, an MLM company is operating as a pyramid scheme. I’m trying not to read too much into the Viridian class-action lawsuit until it’s resolved (or more likely settled it seems), but it’s certainly hard to ignore. Update 6th December 2017 – Unknown to me at the time this review was published, Viridian today announced it will be abandoning its MLM operations as of March, 2018. I guess your intel is not so good, OZ. On Friday Viridian announced to their top leaders there would be a restructure and this was released today. This past Friday, we had an opportunity to meet with many of your field leaders as we shared news of a significant change in Viridian’s go-forward plans. Together we celebrated and honored the amazing impact this company has had on our communities and the environment, as well as the memories and friendships that have been created because of the unique culture of Viridian. We took the opportunity during last night’s Empower Call to once again share those memories. If you missed last night’s call, you can listen to the critical business updates and the memories shared now via the replay: (removed). Now, after 8 years of this incredible growth, positive impact and contribution to the energy and direct selling industries, Viridian International Management (“Viridian”) is undergoing a significant business transition and will be focusing more exclusively on energy sales as of March of 2018. While the company will no longer support the continued growth of the network marketing channel, this transition will allow the company to continue to honor the ongoing commission commitments it has to its dedicated Associates, ensure no disruption to ongoing service of energy or travel customers, and allow for the continued enrollment of clean energy customers. From now until March 1, 2018, there will be no changes to your Viridian business and you will be able to continue to access all services, sponsor Associates, enroll customers and receive commissions as you always have. In addition, you’ll be able to continue to increase your Paid-As Rank, for the purposes of maximizing your long-term earnings with Viridian. Viridian was a reader review request I had on my list for over a year. I only got around to begin researching it earlier this week. Not sure how I was supposed to have intel on an annoucement made after I published the review! Anyway sounds like they’re thanking their affiliates for the energy customers and abandoning them after March next year. With that in mind dunno why anyone’d bother continuing to build a Viridian business. I suppose at least they’ll continue to pay existing commissions though, although the EDS revealed hardly anyone is making money. Thanks for the heads up!